I'm still letting Johnny Rotten influence my picks this week. Most songs written and performed by comedians fall under the "novelty song" category. Hell, I'd be willing to wager that ALL songs written and performed by comedians fall under the "novelty song" category except for today's selection. 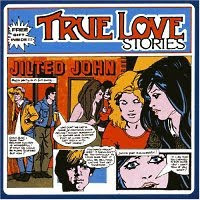 From 1978, here's Jilted John's "Jilted John."